Vanessa Craddock is a certified high school teacher, instructor, private consultant on retirement benefits for Federal employees, and a writer. Though she travels frequently to conduct retirement seminars, she works primarily in the Washington DC/Virginia area and always makes time to write. She is a graduate of Morgan State University where she received her undergraduate degree in English, and of the College of Notre Dame of Maryland, where she received her Master’s Degree in Teaching, graduating number one in the class in her school of study. Writing is Vanessa’s passion, and she has been at it since elementary school where she wrote short stories and plays that she and her sister performed. Over the years, she put writing aside to focus on her career and raise two children, but the creative bug never left. An avid reader, she’s always dreamed of writing a novel. On her daily train commute to Washington DC, she penned The Promise Box. 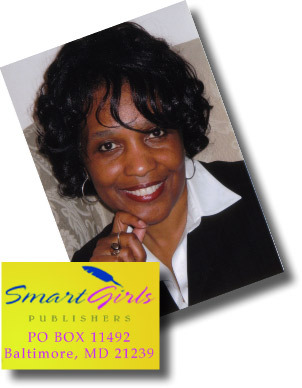 Self-publishing was the quickest opportunity to realize her lifelong passion, so she established SmartGirls Publishers. The Promise Box is her first novel, but she has already completed her second, a mystery called Dangerous Desires, and is hard at work on her third. Vanessa resides in Maryland with her husband and family. A favorite quote she recently came across sums up the way she believes life should be lived… “Be bold and mighty forces will come to your aid…” You have to believe, and she always has.